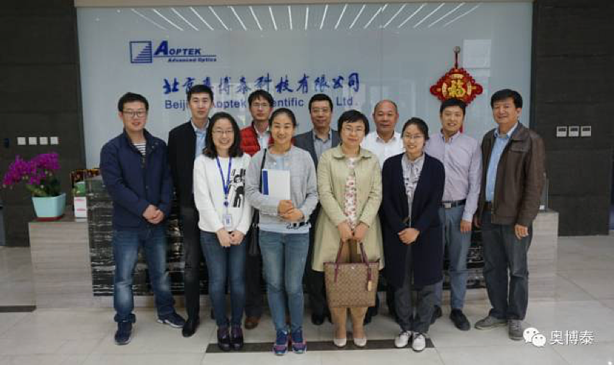 Tech Salon was held for the 3rd time on the 12th of April in Beijing by AOPTEK Scientific Co. 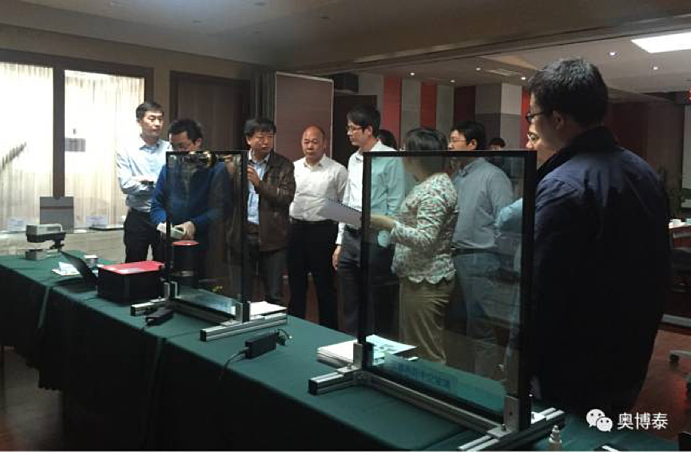 The topic for the workshop was on-site non-invasive testing technology for energy-saving glass e.g. the structure measurement of energy-saving glass after installation, the position of Low-E coatings and their emissivity value, the insulation performance of glass, for instance, the heat conductivity - K value, the total solar energy transmittance - g value and Shading Coefficient - Sc value etc. During the event, AOPTEK also gave a demonstration on how to use Sparklike Handheld™ so that the experts could see how easy these devices are to operate. Original text released on 2017-04-14 by Beijing AOPTEK Scientific Co., Ltd. There were several experts from glass industry, standards institutions and testing authorities been invited to participate event, incl. Dr. Wei Guo, the Associate Researcher of China Institute of Building Standard Design & Research, Mr. Tonghu Tian, the General Manager of Hebei Jingbo Glass Product Co., Ltd., Mr. Yi Jiang, the Vice General Manager of Beijing Synergy Vacuum Glazing Technology Co., Ltd., Mr. Yidun Chen, the Director of Curtain Wall Test Department of Beijing Building Materials Testing Academy Co., Ltd., Mr. Qiuhua Yang, the Senior Engineer of China Academy of Building Research, Dr. Zhang (GM) & Mr. Wei Wang (VGM) of Beijing Aoptek Scientific Co., Ltd.
Ms. Helen Xu, the Senior Engineer of Aoptek conducted the workshop by giving a very detailed presentation in regard to “on-site non-invasive testing technology for energy-saving glass”, at the meantime, she put out the keynotes in terms of energy saving glass types and the relative performance specifications, requirement by industry standard, the index need to be tested on-site for energy saving glass. 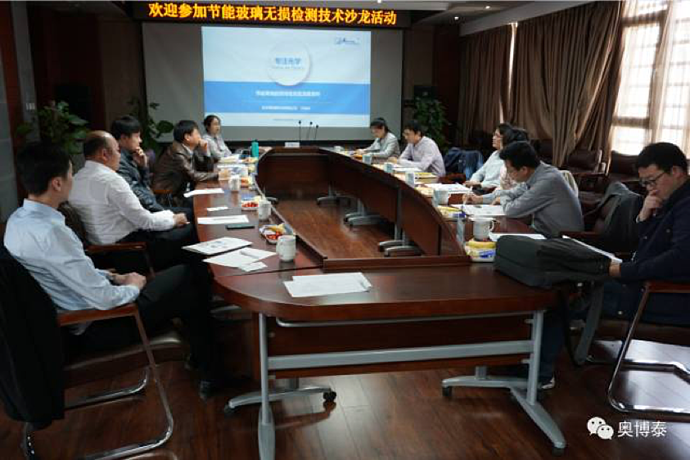 In addition, Helen also emphasized the technology application of Multifunctional Onsite Instrument for Energy Saving Glass measurement, Portable Wide-Spectrometer, Scattered Light Polariscope, argon gas content measurement device (Sparklike Handheld™ from Sparklike Oy), IGU Emissometer, high accuracy IGU Glass Thickness Meter etc. which are all the matured products that have been widely used in the market. After the presentation, every participant shared their views and comments followed by a lively discussion. 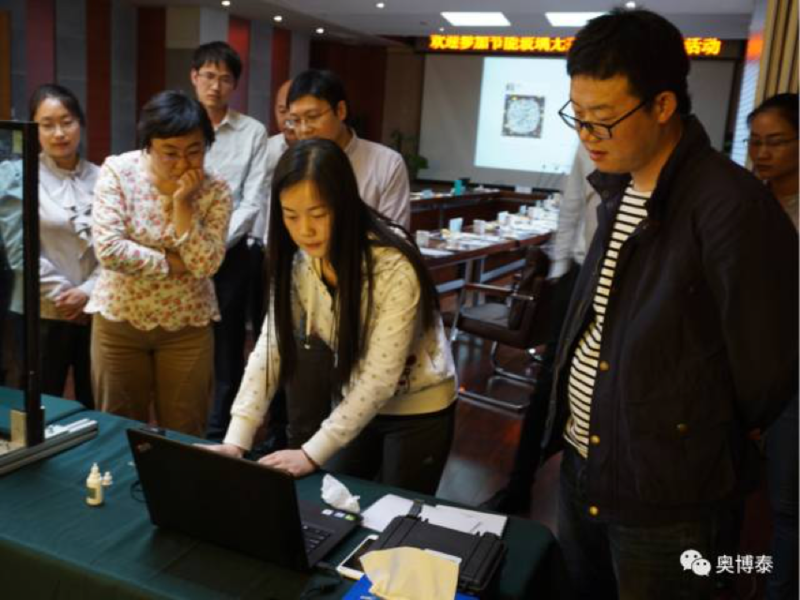 Through such exchange, everybody had a better understanding to the current status on non-invasive testing technology for energy-saving glass, eg. the structure measurement of energy-saving glass after installation, the position of Low-E coatings and their emissivity value, the insulation performance of glass, for instance, the heat conductivity - K value, the total solar energy transmittance - g value and Shading Coefficient - Sc value etc., the real argon gas content inside IGU after installation, the color of glasses and chromatic aberration. All these factors may be measured and determined by using the specified devices that introduced by AOPTEK. 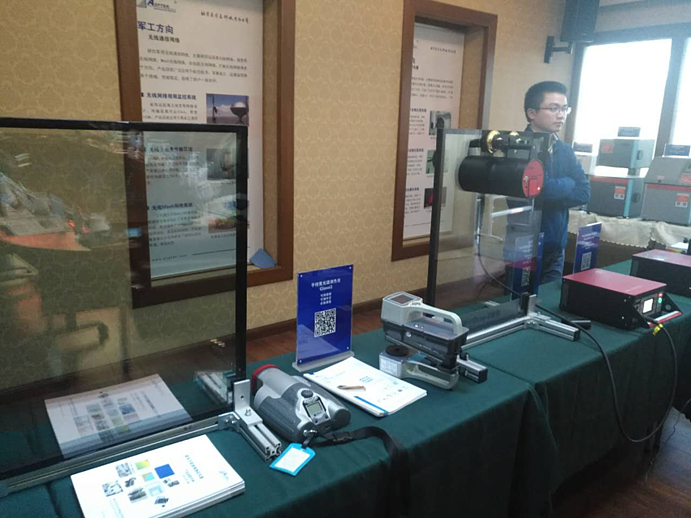 Then proceed to the next step is to provide such easy and convenient detection instruments to architectural windoor manufacturers, curtain wall companies, project supervision companies, real estate developers and the third-party testing agencies to measure. Meanwhile, all the devices may help the users to observe and to control the glass product quality in an efficient way whilst to ensure the consistency of quality between final project and product design, so as to ensure the performance specification of project energy efficiency really match the standard requirements. To keep reading why there's no need to break the insulating glass unit in order to conduct insulating glass unit's argon fill analysis, click this link. During the event, AOPTEK also gave a demonstration how to use the Multifunctional Onsite Instrument for Energy Saving Glass Measurement, Portable Wide-Spectrometer, Scattered Light Polariscope, argon gas content measurement device (Sparklike Handheld™ from Sparklike Oy), IGU Emissometer, high accuracy IGU Glass Thickness Meter so that the experts had a deep impression and realized how easy these devices are to operate. All the participants expressed their acknowledgement for such kind of communication which not only extended their existing knowledge, but also broadened their thoughts, the most important to exchange ideas during the discussion. They all hope AOPTEK may organize more tech salon like this hence to create a platform to make friends from the industry and to facilitate cooperation with development in common.